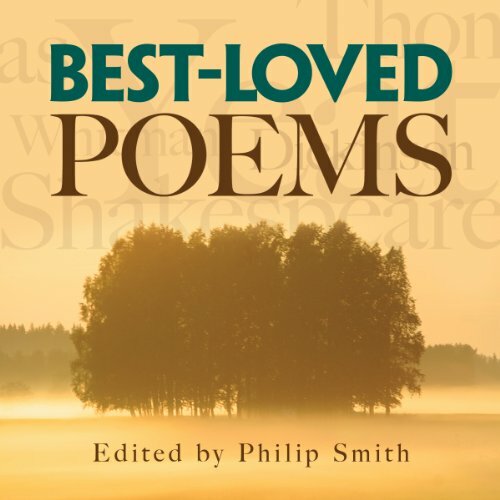 What did you love best about Best-Loved Poems? What other book might you compare Best-Loved Poems to and why? 101 of the best Poems, The seashell anthology of Poems, The Giant Book of Poetry. The Immortal Poems. Just about any of the many $.99 cent to $1.99 dollar books of poetry books out there you can pick up for your kindle because the poets works are now public domain, and you just need someone to formulate the material into a book form for you and sell it for that low price. I enjoyed the many accents and different voices on this audio, you felt the difference from Robert Burns Scottish voice to Lord Tennyson's very common man's voice on the Charge of the light Brigade. You hear Christopher Marlowe from the late 1500's and more modern voices from the turn of the 1900's. And you felt the difference in there tones, rhythm of words and general patterns of speak. From the dawn of the written word, there have always been those who could weave magic into there words. Sit back and listen for a short time and hear the magic tapestries they have woven throughout the history. It cost $2.95. True it's short but sometimes you only have time for short and fast; and it is fun and educational. And helps bring alive these genius beautiful words.